King Mohammed VI of Morocco has urged African cities, urban communities and all local officials to fight the phenomenon of street children and put child-related issues at the heart of decentralization policies. 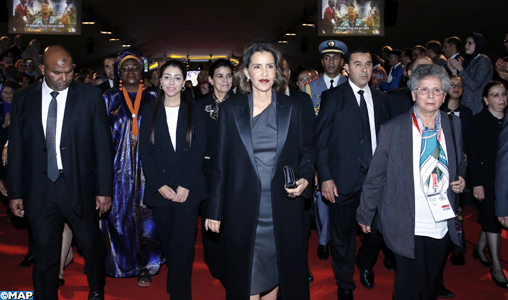 This came in a message read out Saturday at the launch from Marrakech of the pan-African campaign for “African Cities without Street Children” by Princess Lalla Meryem, chairwoman of the Moroccan National Observatory for Children’s Rights (ONDE), at the close of the 8th Africities Summit held in Marrakesh November 21-24. “Today, as this Africities Summit comes to a close, and given this issue on which many have simply given up, you – municipal leaders, mayors, elected officials and governors – should be mobilized and put child-related issues at the heart of decentralization policies, particularly those concerning street children,” said the king, stressing the need for African cities and urban communities to be at the forefront of the struggle against the phenomenon of street children. Of the 120 million street children in the world, more than 30 million are scraping a living on the African continent, he deplored, adding this means that one in four street children in the world is African. “This figure is not only shocking, it also runs contrary to the time-honored values of our African societies, which are based on solidarity and the pre-eminence of the family,” he noted. “Child protection is not merely about tackling the violation of children’s physical, moral and psychological integrity. It also implies creating the right conditions for their economic, social and cultural development,” he argued. The challenge is as enormous as the stakes involved. Dignity, peace, poverty reduction, the eradication of hunger, the promotion of health care, a quality education for all, equality between boys and girls and access to drinking water and sanitation are important requirements that have a direct bearing on child protection, the King explained. These are the objectives and priorities that are at the core of the 2030 Agenda for Sustainable Development, which serves as a real catalyst for international cooperation. The Sovereign recalled that in his speech to the 29th Summit of the African Union in Addis Ababa, he stressed the imperative need to establish “a proactive, youth-oriented policy (which) can channel energy for the achievement of (the continent’s)development”. There never was a greater need for such a policy. The protection of African children should be one of its pillars, he said calling for pooling efforts to combat abandonment, to which children too often fall prey in African cities. “The time has come to put issues relating to children at the heart of the public agenda,” he concluded. Posted by Hafid El Fassy on November 25, 2018. Filed under Columns, News, Zoom. You can follow any responses to this entry through the RSS 2.0. Both comments and pings are currently closed.